Daimler Buses is no longer the largest global manufacturer of buses and coaches in unit terms, having been overtaken by China’s Yutong. 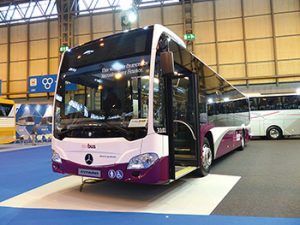 However, Daimler Buses is almost certainly the largest in terms of value, as its European operations make a large number of high value integral vehicles. In 2014, Daimler Buses had turnover of more than $4.8 billion; up a respectable 4.7 percent, compared with 3 percent in 2013. 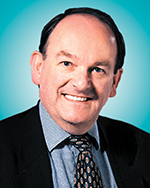 In Europe, the company’s policy is to promote its own complete integral vehicles wherever possible. Some of them are built in factories in Germany, while others are made in the modern factory outside Istanbul, Turkey, where capacity has recently been raised to 5,000 units per annum. The plant in the north of Spain builds chassis mainly for export outside Europe, but supplies a few to long-term bodybuilding partners in Spain and Portugal originally launched in Stuttgart in 1997. In continuous development since, Daimler has built well over 40,000 vehicles for operators in Europe and as far away as Dubai, Singapore and Japan. The latest versions of the Citaro now offer Euro VI engines, which are saving up to 8 percent on fuel consumption compared with their predecessors. 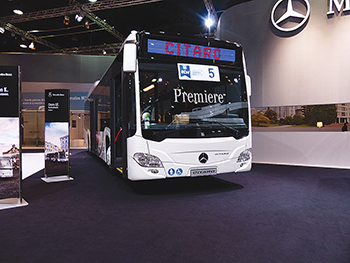 With more than 3,000 Citaro Euro VI vehicles now in service, this has clearly had an influence on Daimler’s product strategy. Nearly two years ago, at a major event at the old Daimler headquarters in Stuttgart, Hartmut Schick, head of Daimler Buses, hinted that the next city bus development would have a platform suitable not only for diesel engines, but for a wide variety of alternative power systems. At that time, probably gas, hybrid, fuel cell and all-electric were in their thoughts but it was not until February this year that we received more details. At a conference on electric mobility in Berlin in February, Gustav Tuschen, head of product engineering and procurement, opened his presentation with the bold statement that by 2030, city buses would predominantly be electrically driven. We have to assume that he was referring to services in developed countries. He said Mercedes-Benz had more than 40 years of experience of electric mobility since its first conversion of a city bus to electric traction in 1969; followed by various small-scale batches of hybrid and diesel electric buses, and also full-electric trolleybuses. It is probably fair to say that some features, like electric wheel hub motors, were not a great success, but the engineers gained considerable valuable experience. A Citaro Euro VI low-entry model for suburban services. 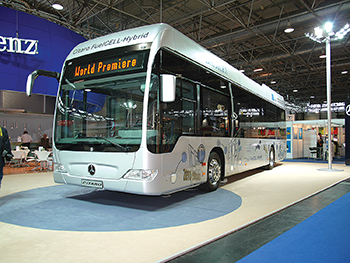 There was a major development in 1997, when the first fuel-cell bus was introduced. Known as NeBus, a standard low-floor city bus was adapted with a fuel cell drive system. Standard Citaro city buses were converted and the Ballard fuel cell stacks mounted in the offside rear corner. They were much more compact and had been designed for easy installation in a city bus. The fuel-cell engine was coupled to an automatic gearbox and a conventional portal rear axle. Hydrogen was stored in tanks at roof level. I remember travelling with a demonstration driver around the suburbs of Frankfurt and being amazed at the silence and the absolutely smooth acceleration. I also became aware of noises that one would not normally hear, such as the power steering pump. The NeBus never entered passenger service, but it paved the way for a second generation of vehicles that were supplied to 12 cities in Europe, Australia and China. A right-hand drive Citaro with single door layout for the UK. Each city that took part received three buses. They went into regular service and accumulated more than 1.3 million miles between them over two years. The project was tightly coordinated so that, if a significant fault occurred with one bus in one city, they could all be taken out of service until a solution was found. The cities were carefully chosen for a variety of operating conditions, including hot and cold climates, different terrain and varying traffic conditions. There were also various ways of producing hydrogen, including wind power, solar and geothermal energy. In fact, the price of hydrogen proved to be widely variable, depending on the production source. After the end of the test period, Hamburg acquired six vehicles from other cities (adding them to its own original three) and is running them for several more years. Other parts of the Daimler Group were also working on fuel cells so the engineers had the benefit of being able to share knowledge. Fuel cells were becoming more reliable and less expensive. 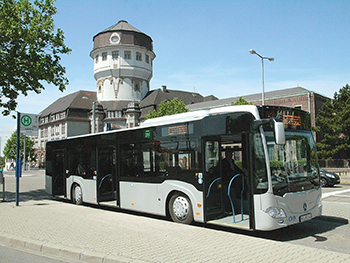 That resulted in the 2009 launch of the third-generation Citaro FuelCELL-Hybrid. A total of 23 buses entered service, in Germany, Italy and Switzerland. Because these buses had a hybrid drive system, they had lithium-ion batteries, electric hub motors and electrically-driven ancillary components. Electrical energy could be recuperated when braking, therefore their consumption of hydrogen was considerably lower than the earlier second generation models. Like most of its European competitors, Mercedes-Benz had developed diesel-powered hybrid buses but decided to discontinue their manufacture when Euro VI emission limits came into force. The company took the view that the greater fuel economy of the Euro VI diesel engines, along with their very low emission levels, weakened the case for hybrid buses. Their pay-back period would be extended considerably. It was a bold decision, but more than 3,000 Euro VI Citaro buses are in service and they are demonstrating considerable savings in fuel consumption. 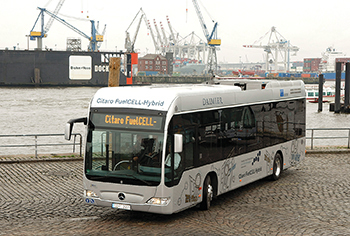 One of a fleet of Citaro FuelCELL-Hybrid buses in Hamburg. However, Daimler realizes that there are customers who are demanding an alternative to diesel drive. One of the most progressive is Hamburg, which has been deeply involved in the fuel cell trials. A few years ago, Hamburg said that it would not buy any new diesel buses after 2020 because it reckoned that, by 2030, the price of diesel fuel would have become prohibitive. That argument has been weakened by the recent sharp fall in the price of oil, but, how long will that last and what will be the price of a gallon of diesel by 2030? Gustav Tuschen confirmed that Daimler Buses was working on two projects, known as Citaro E-Cell and Citaro F-Cell. The challenge with all-electric buses is how to ensure that they have sufficient energy for a typical daily 16-18 hour schedule. Electrical energy is needed not only to move the vehicle, but to power air conditioning and/or heating, lighting and many other systems on a typical city bus. Some competitors offer batteries that have sufficient range for a full day’s operation, but there is a weight penalty of around 3 tons and that can restrict the maximum passenger capacity. The alternative is to use smaller batteries and to fast-charge them regularly through the day, usually at each end of the route. Charging can be carried out either from overhead gantries, or underneath the vehicle from the road surface. Daimler is likely to offer the option of a fuel-cell car before the end of this decade. It is also working on fuel cells in light commercial vehicles, so that will help to make the price more competitive. Gustav Tuschen suggested that the fourth generation Citaro F-Cell bus would become available around 2019, but there is also the option of using a fuel cell as a range extender on an all-electric vehicle. That has the benefit of using smaller batteries, without the need for recharging facilities on bus routes. It could also be a very good solution for higher capacity articulated buses. There are many customers who will still prefer to purchase standard diesel buses and the next generation from Mercedes-Benz will use the same platform as the E-Cell and the F-Cell. It will be interesting to see whether Daimler Buses decides to add any other fuel or drive system to the project before it is unveiled.